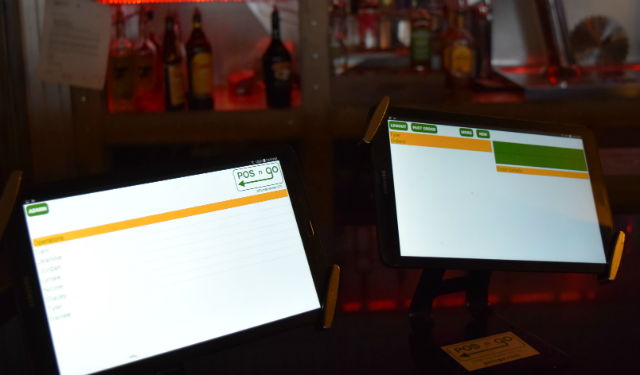 Dewey's Pub & Grill started using POS-n-go four months ago. Keeping track of inventory and re-stocking customers favourite beer keeps the bar humming along when it gets busy. The integration with Pivatol Payments allows for fast transaction processing when a customer uses debit or credit to pay. Dewey's is famous for Wing Wednesday's that always draws a big crowd. Every Thursday there is karaoke along with 99 cent tacos from 5 - 9pm. On Friday's they open at 12 noon for the popular steak sandwich. An expanded stage and lighting system means there will be lots of live music in the months to come. Dewey's is located in the old Byng Hotel in Cranbrook.